What's the key to multibillionaire Warren Buffett's five-decade run as the most successful investor in history? Fundamental analysis. Now, Fundamental Analysis For Dummies puts this tried and true method for gauging any company's true underlying value into sensible and handy step-by-step instructions.. In this easy-to-understand, practical, and savvy guide you'll discover why this powerful tool is particularly important to investors in times of economic downturn and how it helps you assess a business's overall financial performance by using historical and present data to forecast its future monetary value. You'll also learn how to use fundamental analysis to spot bargains in the market, minimize your risk, and improve your overall investment skills. 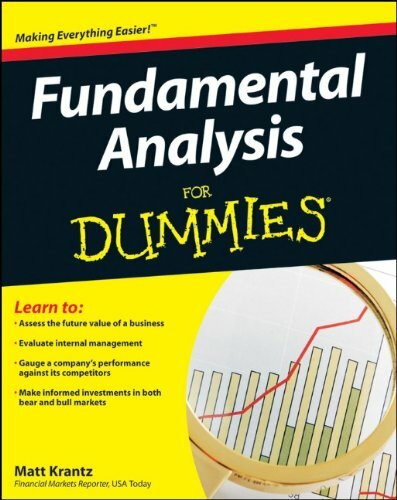 Read Fundamental Analysis For Dummies and find the bargains that could make you the next Warren Buffett! If you have any questions about this product by Krantz, Matt, contact us by completing and submitting the form below. If you are looking for a specif part number, please include it with your message.